choose your preferred arrival day to start with. Just ask us. 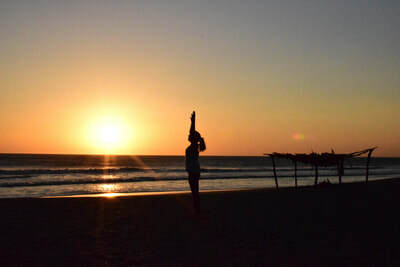 We offer 3 packages in the Yoga Holiday; The easygoing traveler, the comfort & go and the All the Way(inclusive) Package. 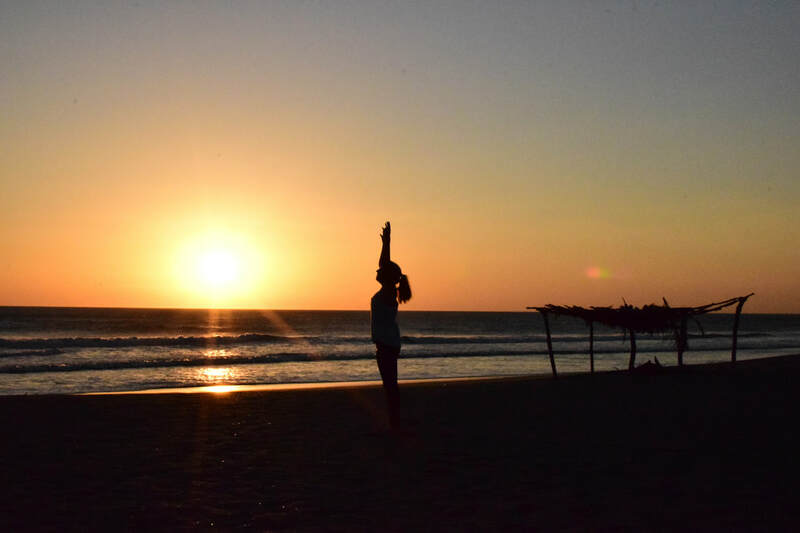 These are all Yoga Holidays, no retreats, You will have 2x a day yoga with optional activities planned and the rest of the day you are off, free to follow your own plans! Fuerteventura has a whole year 18-25°C temperature, in Summer it gets a bit warmer but with the ocean breeze it remains comfortable. Our holidays will take place on the northern-part of this beautiful island, where you have stunning white beaches and perfect water-sport conditions. Corralejo has a good mix of tourism and quiet places. It's been a surfers paradise for many years, the tourism is not as busy as on the other Canary Islands and the vibe is very relaxed. 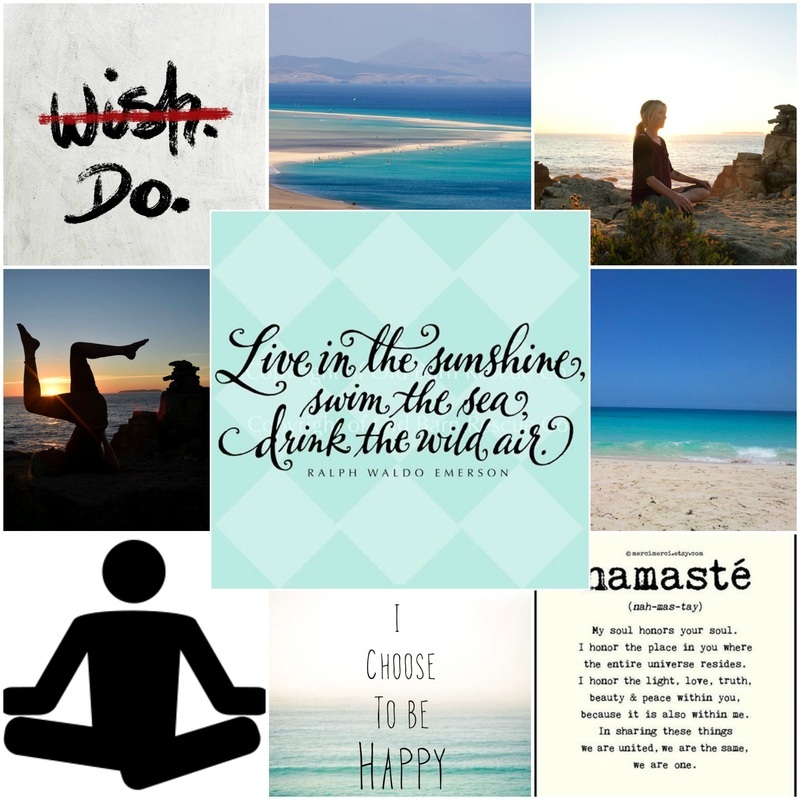 Experience the yoga and laid-back lifestyle with us under the sun. We don't want to take you out of the life and retreat in the mountains, we like you to retreat from home into a new 'home for the week', doing your groceries between locals, living 'the local life'..
Reserve a space, ask a question; fill out form below. Rather stay on mainland OR try anther Island?? 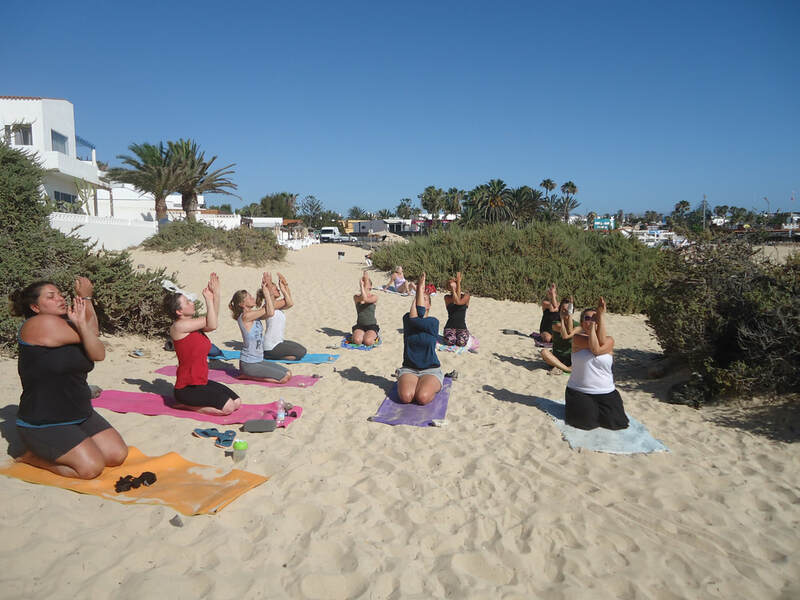 Try our Yoga weeks in Caños De Meca, Andalusia OR more on Curaçao when we are there! We loved the Fit&Yoga program so much, we now have it YEAR ROUND available!. to your surf holiday or yoga holiday. The morning class will help you get ready for the day. Opening up the joints, stretching the body for a new day. Deepen your knowledge on yoga asana(poses), pranayama(breathing exercise), philosophy and design or extend your own (home)practice. The afternoon/evening class is based on unwinding and relaxation. Strengthening and lenghtening muscles using our energy but slowing down towards the end, with restorative poses, stretch and flex, practice some minor meditation and deep relaxation. 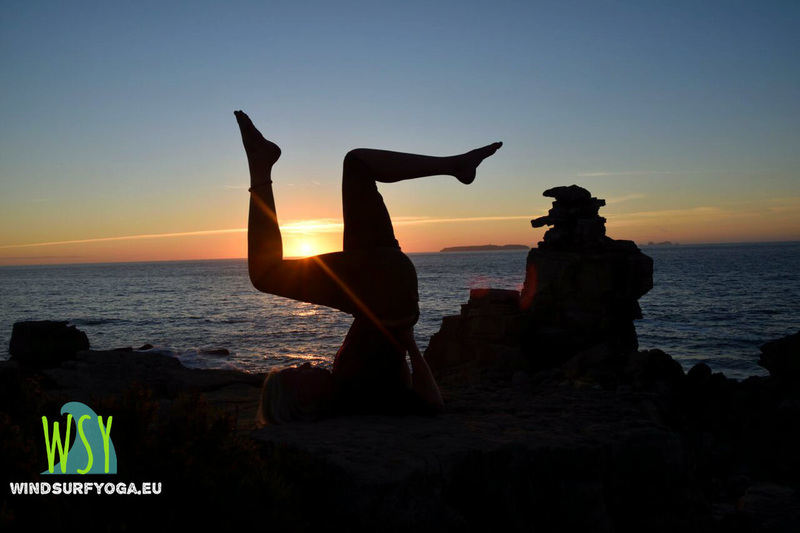 Dive into Yoga, explore with us! To have some extra free time we schedule Sundays off, if this doesn't fit in the schedule we will be flexible to change, but generally Sundays are days to do nothing, sleep in, go out at night.. This way you have some time to explore the island, to have some extra 'me-time'. Once a week we like to do an optional joined dinner, which can be a barbecue* or a good local meal (outside), its not an obligation to join of course. In case you like to enjoy the amazing qualities of the island you can try some windsurfing, surfing or kite surfing. Martin, our windsurf&surf instructor, is ready to help you out, with these amazing sports. This includes private rooms, breakfast and a massage. No hassle! You will be picked up from the airport and all you have to think about is where you will go for dinner tonight.. 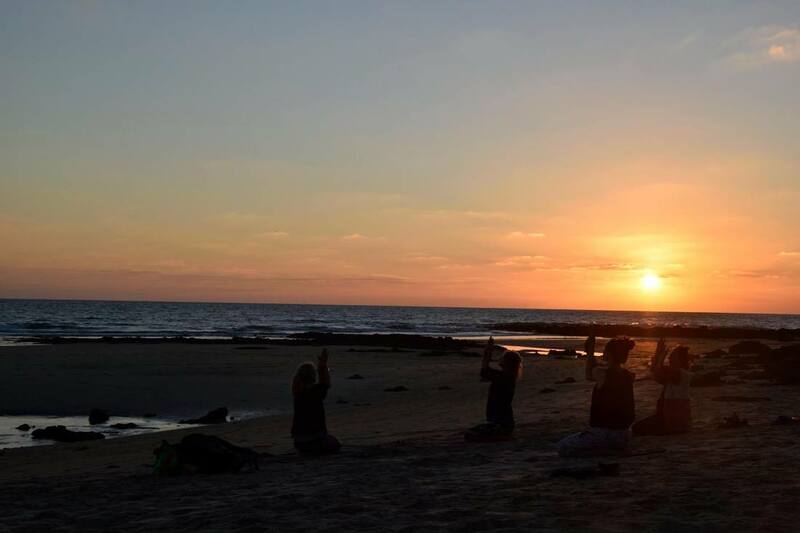 If you want to spent a bit less money but still enjoy a really nice, de-stressing holiday take a look at the comfort and go package; A real on the go Yoga Holiday, not to much hassle, but still on a nice budget. You have a shared twin-room (private on request), and daily yoga classes, we take care of your transport from and to the airport so no stress! 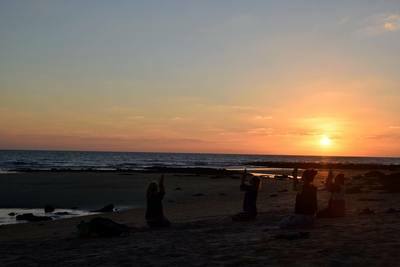 If you like it more basic, a real low budget but GOOD and comfortable holiday you can book our Easy Going package, enjoy daily yoga classes and comfortable accommodation, while you take your own time and make your own adventure. Any other request? Don't hesitate to ask us! Choose your holiday moment. In case you like to arrive earlier or extend your stay please tell us in the below field or send a message. If there is place you are more than welcome to stay longer. Read some of the feedback of our costumers from last season! Sarah; I have done beginners yoga before and enjoyed it but I fell in love with it doing it with Eline. Whatever you think you cannot do, she makes it possible, whatever part of your body hurts, she fixes it. It wasn't too serious in that we could giggle about the dog doing a pee pose but it was serious in that I came away from every session feeling stronger both physically and mentally. Will forever be disappointed in any yoga class that is not taught by Eline! Fariba; First time doing Yoga, the instructor made us feel relaxed and take things at own pace. Felt like a pro by the end of the week. will surely keep it up. Miranda; *Dutch* Hele fijne begeleiding , veel persoonlijke aandacht, en veel uitdagingen in de oefeningen.